This torch has got to be seen to be believed! Weighing only 620 grams and just 171 mm in length, the MT18 torch is comfortable to hold in one hand yet provides an unbelievable amount of light. 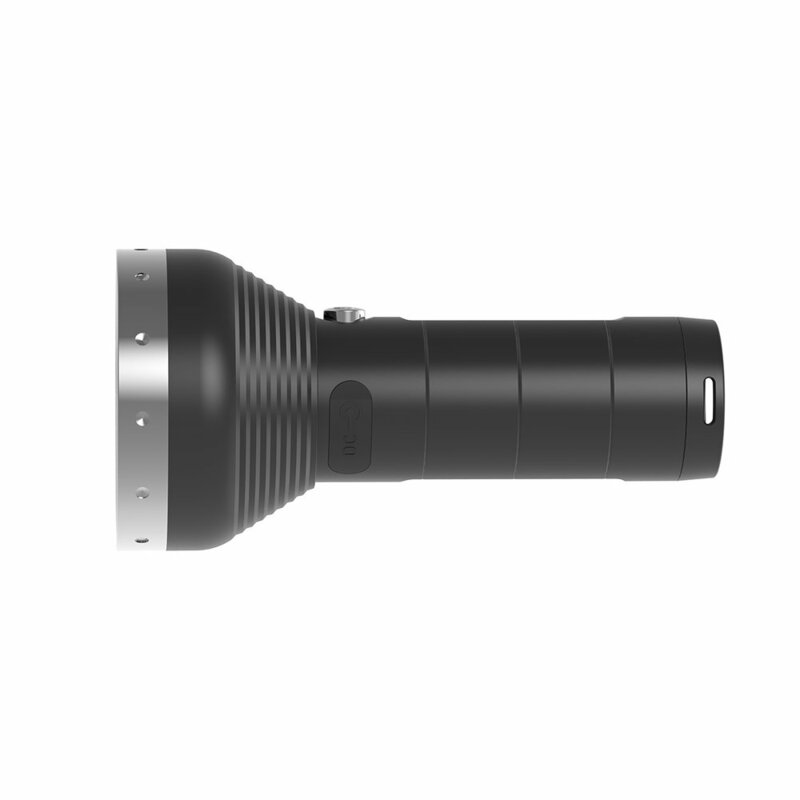 With 3000 lumens of brightness and a beam range of 540 metres, this torch is a beast of mammoth proportions. Add to this performance all the features that make Ledlenser so popular - the patented Advanced Focus System and Smart Light Technology with 4 light functions and 2 energy modes, you'll soon realise the MT18 is an exceptional piece of German engineering. Being rechargeable, it will save you money in the long run and also benefits the environment. Recharging is made easy with a DC port built into the torch. As an added bonus a battery status indicator is built into the switch so you can see how much charge the battery has at any point. Comes with: Rechargeable battery pack, USB cable, adapter, adapter cable, wrist strap.